The Most Respected Association for those Combating Financial Crime ASSOCIATION OF CERTIFIED ANTI-MONEY LAUNDERING SPECIALISTS ® (ACAMS) is the largest international membership organization dedicated to enhancing the knowledge, skills and expertise of AML/CTF and financial crime detection and prevention professionals. Our members include representatives from a wide range of financial institutions, regulatory bodies, law enforcement agencies and industry sectors. Why You and Your Team Should Earn an AML Certification? 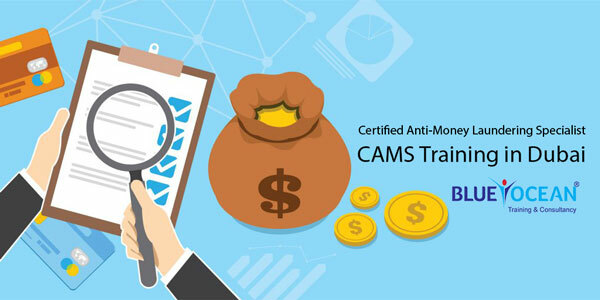 As an ASSOCIATION OF CERTIFIED ANTI-MONEY LAUNDERING SPECIALISTS ®(ACAMS) member, you will receive exclusive access to a wealth of AML/CTF and financial-crime related information, training plus an international network of thousands of like-minded professionals to turn to for guidance and support. Opportunity to become a certified expert in Anti-Money Laundering, Financial Crimes Investigation, Terrorist Funding Prevention, etc. Updating credentials to apply international standards of AML compliance certification. Universally marketable skill-set which transcends industry/ firm/ department. Higher Salary, faster promotions, better career opportunities. Individuals with certification work in Global Financial Crimes, AML investigations/ Compliance, Fraud Prevention, Securities and Trading/ Risk Assessment, etc.